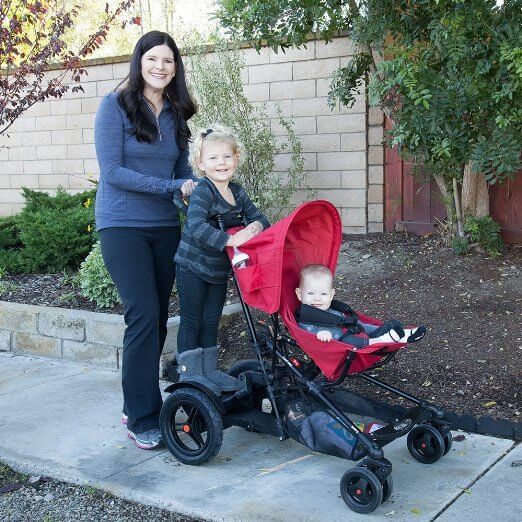 When you have two small children then you filled with double responsibility & obviously you can’t leave any one of them when you are going out, so here this is the one stroller (Joovy TooFold Stroller Review) you can have with unique look & features along with two seats . 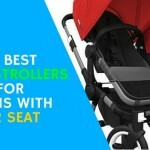 The main seat is for infant & another seat is for older child say 6 months up to 20 kg approx. 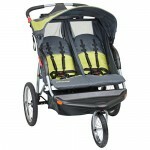 That’s why I am writing this JOOVY Toofold Double Stroller Review for first time mothers. 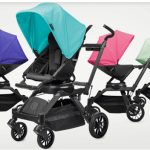 Let’s discuss some more things about the stroller in this “Joovy TooFold Stroller Review”. It has 4 wheels which are 12″ air-filled wheels in the back and 6″ hard rubber wheels in the front. The front wheels are double swivel wheels that can be locked straight for rougher surface because of the large air-filled tires it will handle a lot of terrain like grass, mulch, or uneven pavement with ease. 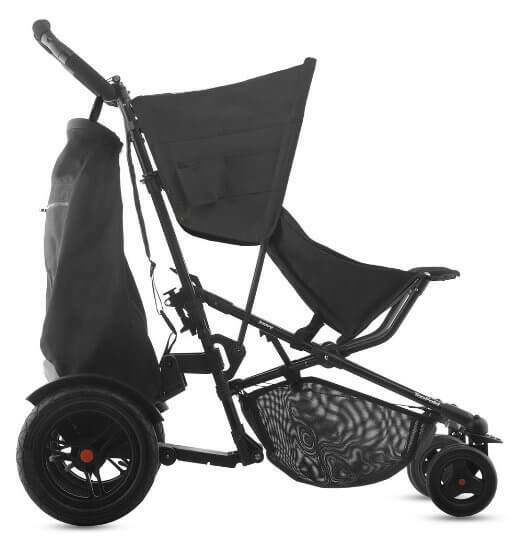 The rear wheels have mudguards that also protect your child in the second seat. Suspension system of front wheels helps to prevents from bumpers & makes it smooth. There is one foot break which is very easy to use. Read More – Best Lightweight Umbrella Strollers For Vacations . The seat back is 20″ tall with a measurement of 23″ from the bottom of the seat to the top of the canopy. The seat can accommodate a child from 3 months and up to 45 lbs. It has two recline position for rest or active modes. Seat is very spacious which give extreme comfort o your baby. As said earlier in “Joovy TooFold Stroller Review” You can get a second seat (attachable) and convert it into a double seat stroller. The second seat has a weight limit of 45 lbs. a 4 year kid can be easily fit on the back seat (second seat)as it supposed to attached in the back . There is a leg rest a child can place his legs right into the basket. Because of the removable seat liner it’s so much easier to wash instead of removing the whole seat. 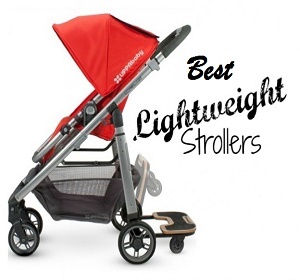 Read More – Best Value Tandem Double Strollers On $300 Budget .. The handle bar is very adjustable as it can go up & down over the seating area, they go from 38″ up to 44″ from the ground. 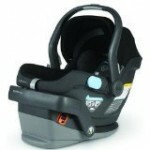 Five point harness system with buckle makes you sure for the safety of baby. To fold the stroller first you need to remove the shopping bag or a second seat, bring the canopy back, and fold up the stand-in board. Press on the button and lift the lever located in the back of the stroller and it will fold. There is an automatic lock and also a standing fold. You might found it heavy or bulky even in the folding position. Seat fabric is very soft & comfort for baby with no chemical certified fabric & easily washable. This model is available in four beautiful colors: lemon tree, blue, red, and black with a black frame. 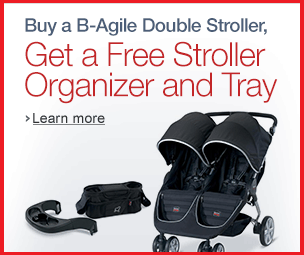 Read More – Easiest Double Strollers To Push And Steer With One Hand.. There is one basket in which is placed under the seat & you can put your baby stuffs easily into it .it’s quite spacious. One use full thing is the shopping bag which you can attached to the board back side when you are not using the second seat, bag is very huge, good for city shopping . There is a small storage pocket on the side of the canopy that you can put your small stuffs. 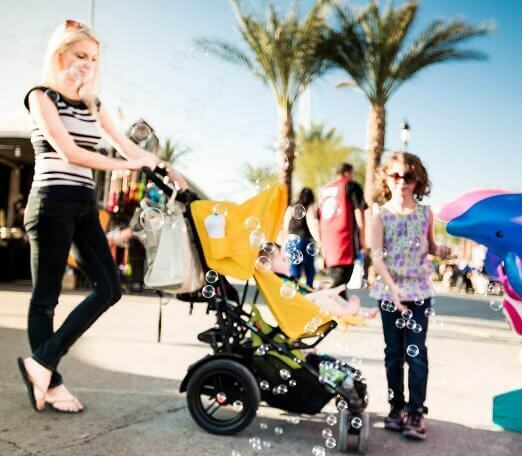 It is very compatible as per the rate & features with other stroller, Joovy provides 1-year warranty from the original date of purchase .it has one more thing which is very unique & surprising Tire pump you don’t need to buy . 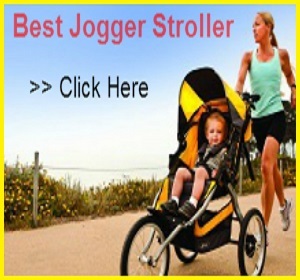 So, with lots of pros & very less cons we can end this “Joovy TooFold Stroller Review” to say last few words .parents having single or two child can have this stroller with good quality of seat & accessories with safety .the attractive look & comfort ride will not disappoint you ever .have a happy ride .